Diamond Platnumz’ father, Abdul Juma, has come out to set the record straight that he’s not an artiste. This comes barely a week after the father of the prominent singer was featured in a music video, Umeniteka, alongside artistes Promis Nyota, Sungura Madini and Blod Gaz. I am not an artiste! That song is not mine. The other artistes who featured in it, own it. they toiled to put it together. They had, on different occasions, asked me to feature in one of their songs so as to give it a boost, given the popularity of my son [Diamond Platnumz]. I agreed but kept on postponing that arrangement, until recently when I accepted to feature in their music video. Mzee Abdul said that he didn’t charge the artistes anything for the cameo. He revealed him featuring in the song, he was fulfilling a promise he had made to the three artistes ( who produced the song). I have not taken any penny from them for that cameo. I did them a favour, which may be later when they see it appropriate, they would give me a token of appreciation. My key aim, however, was to have them get a breakthrough that they desperately needed. Diamond’s father has been making controversial headlines of late and word went viral that he couldn’t walk because his legs were swollen. The father of four also thanked his son for supporting him, the first time in a long time he spoke well of him. I thank him for supporting me. The singer’s parents separate long ago but Mzee Abdul said on Wednesday after the song was released, his ex-wife [Diamond’s mother] called him. His mother Sanura Kassim called me and told me she was so happy for me. She even called me a superstar and went ahead to tell me that the song is great. 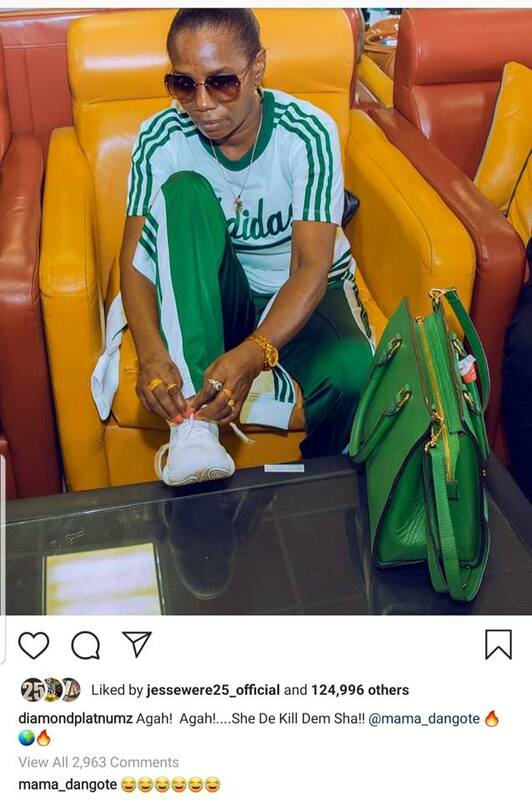 The Tetema hitmaker shared a photo of his mother on Instagram accompanied by a line from Umenitaka. His mother commented in the comment section with laugh emojis. Mzee Abdul further said that he was ready to appear in Diamond’s songs and advised him to contact him in case he needs his services.